Maximise the profitability of your machine tool bearings: benefit from the expertise of a global leader. N°1 in the market for bearings for machine tools in Japan, NTN - SNR collaborates with the world leaders and offers you a wide range of state of the art technology. We guarantee you high-technology bearings and expert assistance during the development of your machine tool. 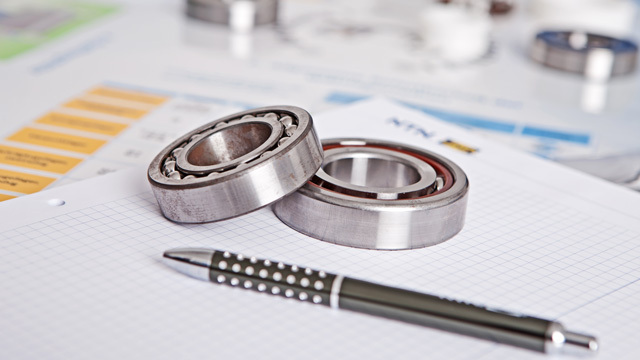 Our bearings work for you to guarantee the performance of your equipment. Our quality standards are combined with ULTAGE design. Speed, precision and rigidity will increase your machining performance. Our range of bearings offers you the best value for money. From purchasing to maintenance, we optimise costs without ever skimping on quality. The reliability of our bearings ensures a reduction in your maintenance costs. Our machine tool bearings are designed to limit power consumption (low torque) and consumables (such as lubricant). Our research also focuses on reducing noise and the pollution coming from air and oil, in order to improve your workshop environment. The HIGH PRECISION range meets all the needs of your machine tools.